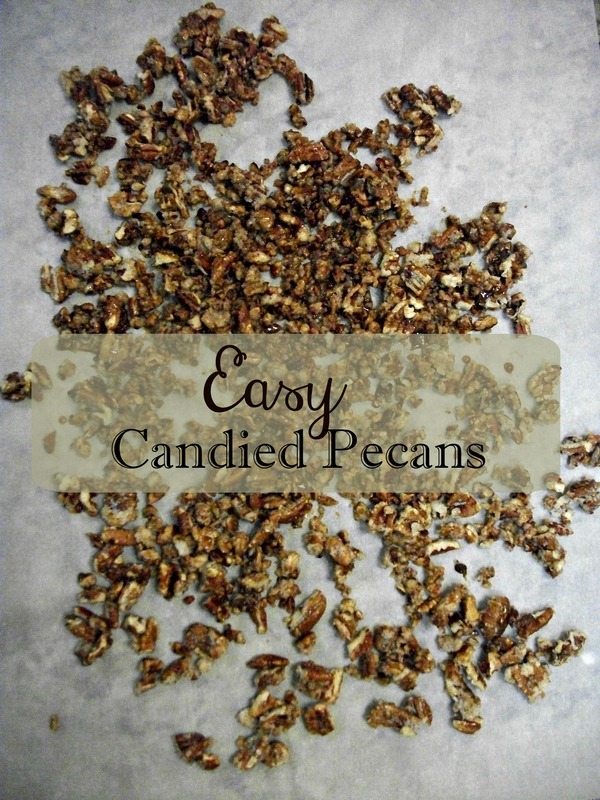 Candied pecans are one of those foods that are incredibly easy to make if you know how! Here are step by step photos to guide you through making your own candied pecans to top salads, sweet potatoes, or just to snack on! The whole process takes about five minutes, so get yourself ready by having parchment paper or wax paper laid out on the counter before you start. Stir constantly over high heat. All of a sudden, the sugar will start melting. Continue stirring until all the sugar has melted and coated the pecans, being careful not to burn the pecans. Once cool, break into pieces and store in a tightly sealed container.